Phoebe Wang was born in Ottawa, Ontario and is a poet, reviewer and teacher. Her work has been published in a variety of journals, including ARC, Canadian Literature, CV2, Descant, Grain, The Malahat Review, and Ricepaper Magazine, and also in TOK 6: Writing the New Toronto. Wang is emerging as an important contributor to critical studies of poetry, and her latest piece "Three Passages West" for online Toronto publication The Puritan (in my rather self-serving beau geste, including work by West Coast poets Brian Brett, Evelyn Lau, and however gone South, yours truly) demonstrates her astute and insightful analysis. 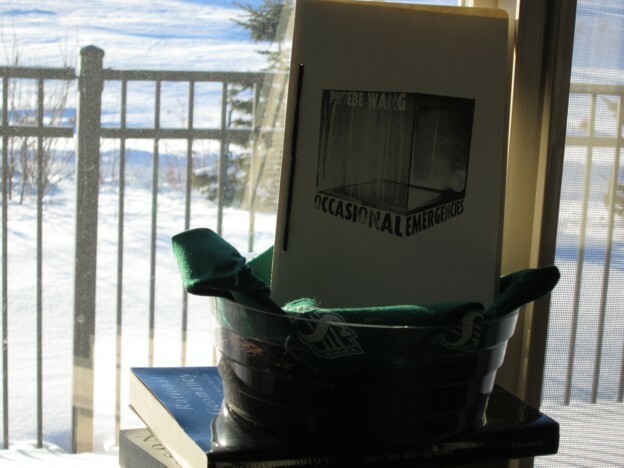 Her first chapbook, Occasional Emergencies, was published with Odourless Press in late 2013 and is just one example of innumerable such treasures that abound in Canada. Wang’s poems in this collection are observations of artistic works and installations that also provide intriguing social context. the country he is from.